Today marks the 31st death anniversary of H.R. Jothipala (1936-87), the most popular singer of his era. Though he died three decades back, he continues to live with the ever-popular songs, most of which he sang as a playback singer in films. To be so popular at a time when there was no television was indeed a great achievement. In the prime of his youth in the 1970s when he was a smart young man, he was the big draw at musical shows held throughout the country. Regular shows were sponsored by Ceylon Tobacco Company (CTC) in association with the National Lotteries Board wherever Mahajana Sampatha draws were held. For the draws, the Lotteries Board picked remote areas where there weren’t any form of entertainment. People thronged from distant areas coming in two-wheel tractors with trailers overcrowded with the old and the young. Popularly referred to as SEAC shows (one time singer Rohitha Jayasinghe organised these shows through his company, SEAC Entertainments), they featured the popular artistes of the day. Jothi and Milton Mallawarachchi were the most popular singers and they could never escape by singing the two songs they were expected to render. The crowds wanted more and they always obliged. Being in charge of public affairs at CTC, I used to often go for the shows and saw for myself how popular they were. Looking back at the early days, during the first few years of Sinhala films, the actors themselves sang the songs. It didn’t take long for the producers to realise that it was not a satisfactory arrangement and the music directors started looking for playback singers. Among the earliest male singers were Mohideen Baig and Dharmadasa Walpola. The tendency at the time was to copy tunes from Hindi film songs. Hindi films were very popular among the Sinhala filmgoers and they started humming the songs even though the language was alien to them. Jothi was just 20 when he was picked as a playback singer. He got his major break in Cyril P Abeyratne’s ‘Surathalie’ in 1956. ‘Siriyame saara’ – the first song he sang is still a hit. Four years later he sang the ever-popular ‘Proothugeesikaraya – Rataval allanna sooraya’ with Sydney Attygalle in Lester James Pieris’ ‘Sandesaya’. Sunil Santha composed the music for Arisen Ahubudu’s lyrics with R.R. Muttusamy directing the music. There is hardly any leading actor for whom he had not lent his voice. The most-wanted singing duo was Jothi and Angelene Gunatillke to deliver romantic songs for the popular couples Gamini Fonseka/Malini Fonseka and Vijaya Kumaratunga/ Malini Fonseka. 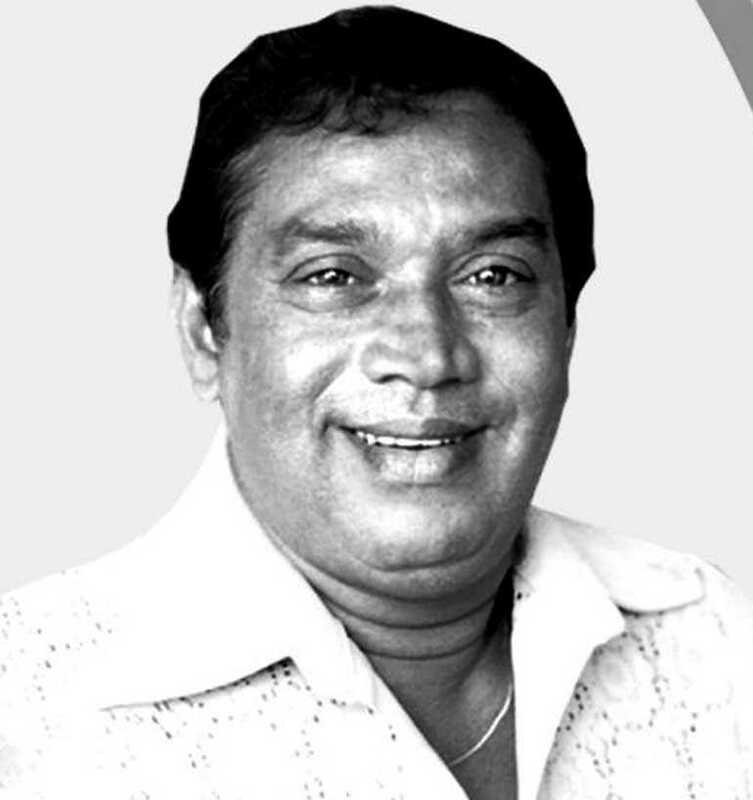 Singing in over 325 Sinhala films during his singing career, Jothi has the distinction of singing the highest number of film songs by any singer. And the range was so varied from comical to romantic and sorrowful ones. The greatest tribute to Jothi was paid by Maestro Premasiri Khemadasa at the latter’s annual musical presentations. Hailing him as “the singer with a screen voice”, he said that Jothi’s voice suited the screen perfectly. Maestro picked Jothi to sing in ‘Lasanda’ (he sang ‘Ma prarathna aasaawo’ with Angeline) and ‘Duleeka’ (‘Aadara mal pavane’) – both films directed by K.A.W. Perera and released in 1974. Jothi appeared in several films after Robin Tampoe picked him for a role in ‘Sudu sande kalu valaa’. Most of his roles were as a happy-go-lucky youngster. Accepted as a fine human being Jothi hardly said ‘no’ to anyone. I remember after the musical shows were over and we would retire to a quiet place for dinner, requests would come for “just one song”. And he would gladly oblige and sing late into the night. He passed away when he was in his peak and just 51 years old. It was most fitting that a statue was put up to remember a talented artiste, at the Maligawatta flats where he last resided. As India’s celebrated playback singer Mohamad Rafi once said, Sri Lanka was too small a country for Jothi. “He should have been born in India,” he said. We never get tired of listening to him. YouTube offers plenty to listen to.